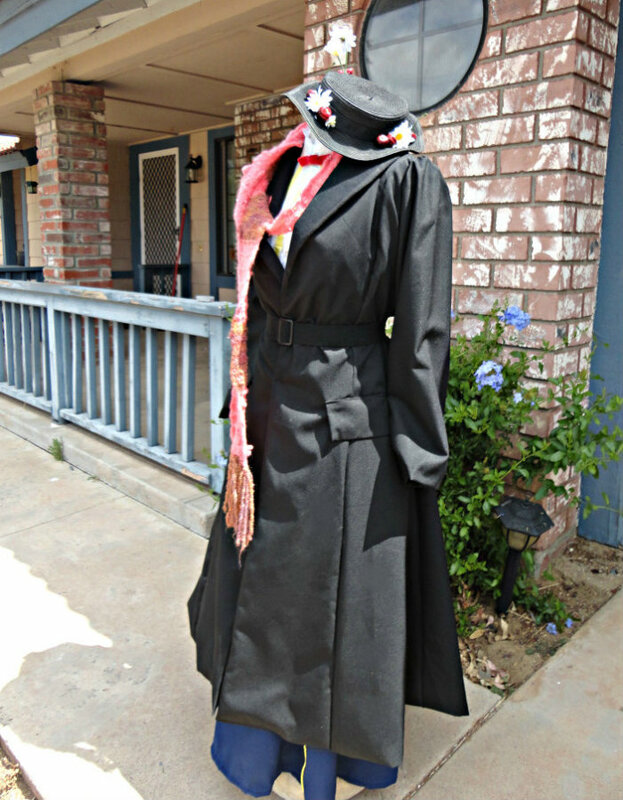 Black cotton coat with matching black belt. Sleeves have puff at the shoulder. Edwardian/Victorian style puffy sleeve blouse with yellow stripes. The cuffs and collar have cotton eyelet ruffle at the edge. Lipstick red velvet bow with pin at the back. 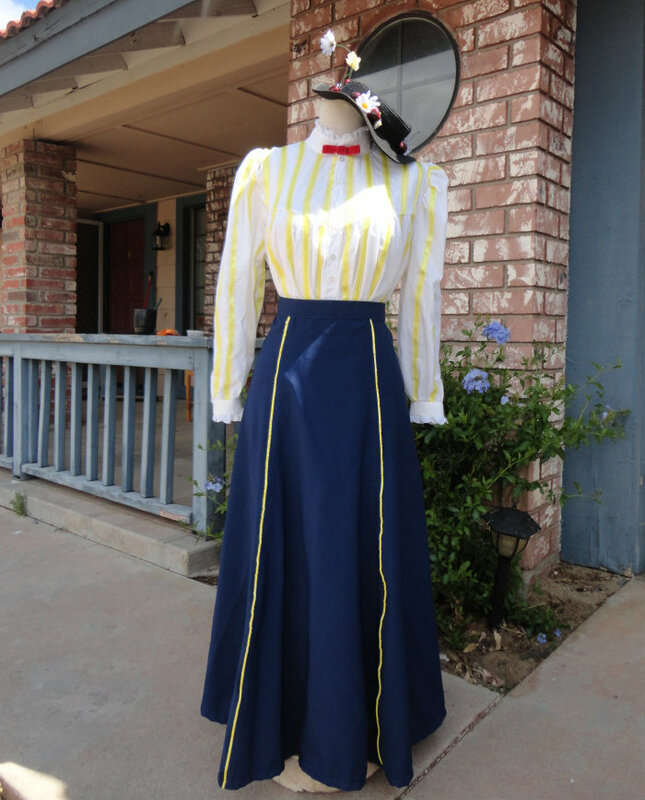 Edwardian navy blue walking skirt with yellow satin cording at the front only (just as pictured). Black straw boater hat. With faux plastic cherries, faux silk flower daisies, and black ribbon around the crown of the hat. At the edge of the hat is wire to create a wavy look to the brim. 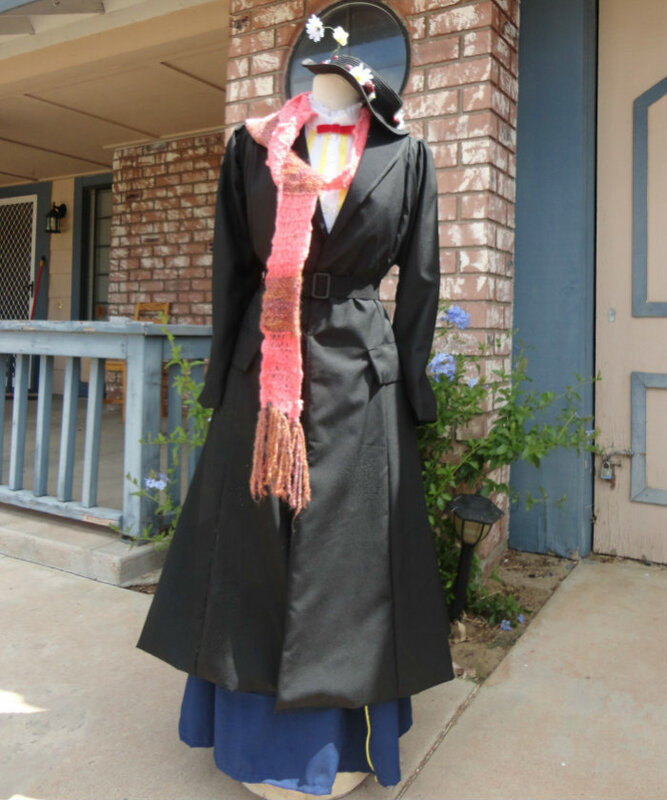 The CARPET BAG, SCARF, AND UMBRELLA ARE NOT included in this listing.